Google's Pixel XL is one of the company's finest efforts, even if it isn't perfect. This high-end Android slab wraps top specs in an aluminum shell — but the hardware isn't the real story here. The Pixel XL is the first handset to ship with the new Google Assistant on board, and the finessed Android 7.1 launcher makes the XL a more usable phone. 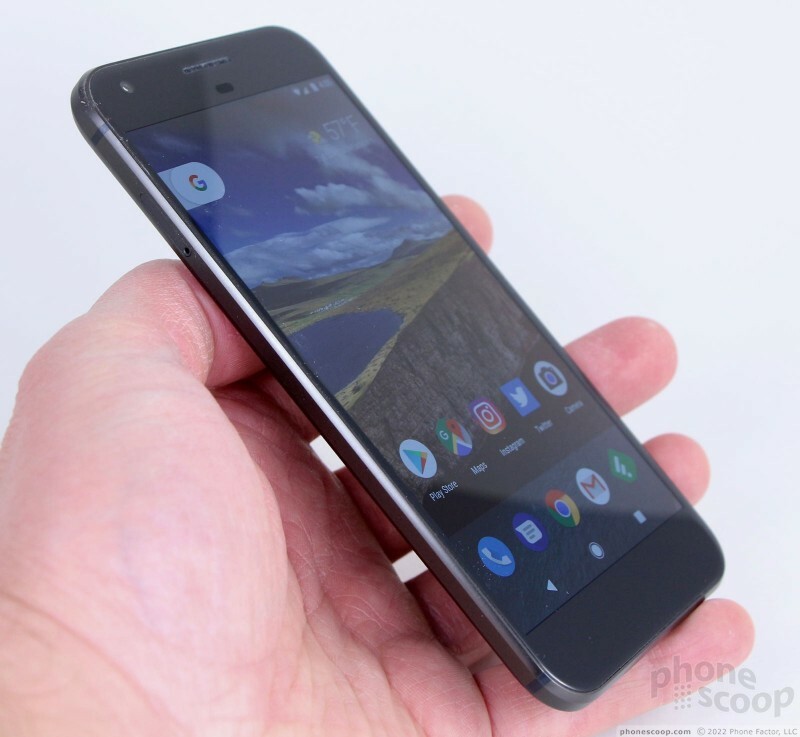 Here is Phonescoop's in-depth review of the Pixel XL from Google. The Pixel XL is a high-end piece of hardware that includes Google's refreshed user interface and the new Google Assistant. If you're all about the "pure Android" experience, then there is no option other than the Pixel XL. That is, if you can afford it. The Pixel XL costs as much as the priciest devices from Apple and Samsung, making it a luxury item for many. 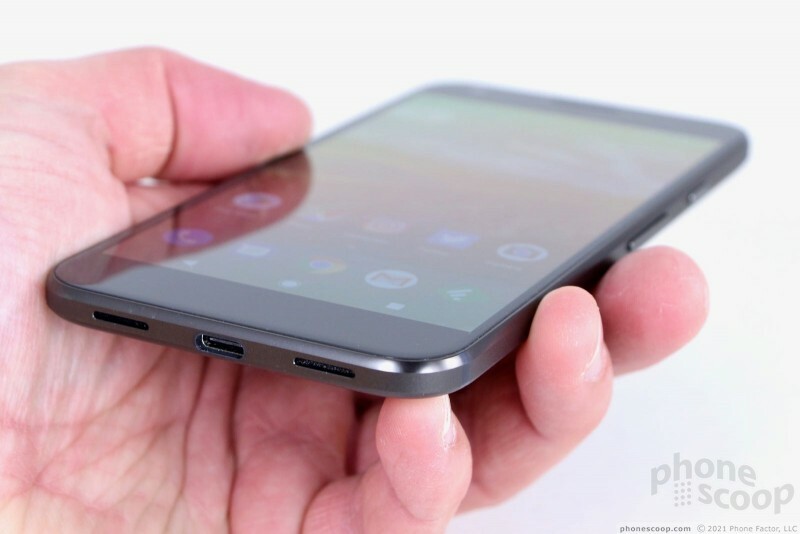 The Pixel XL is a large, metal-and-glass phablet with top specs. 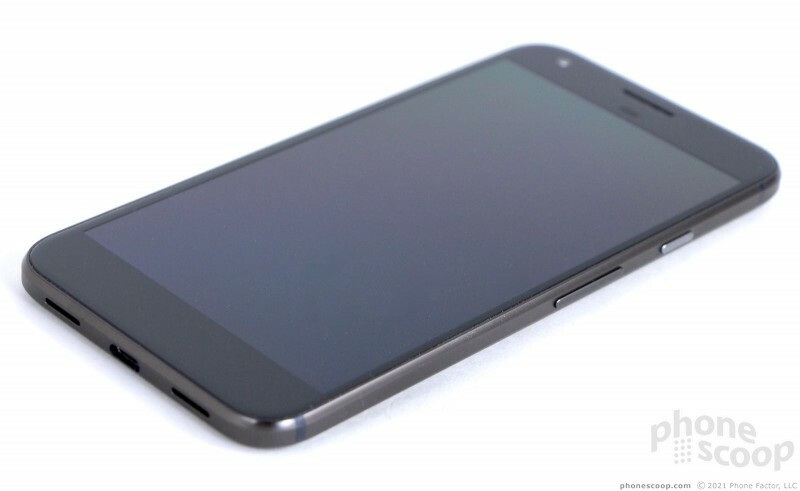 Though the phone was manufactured by HTC, Google designed every facet of the Pixel XL. That's good and bad. 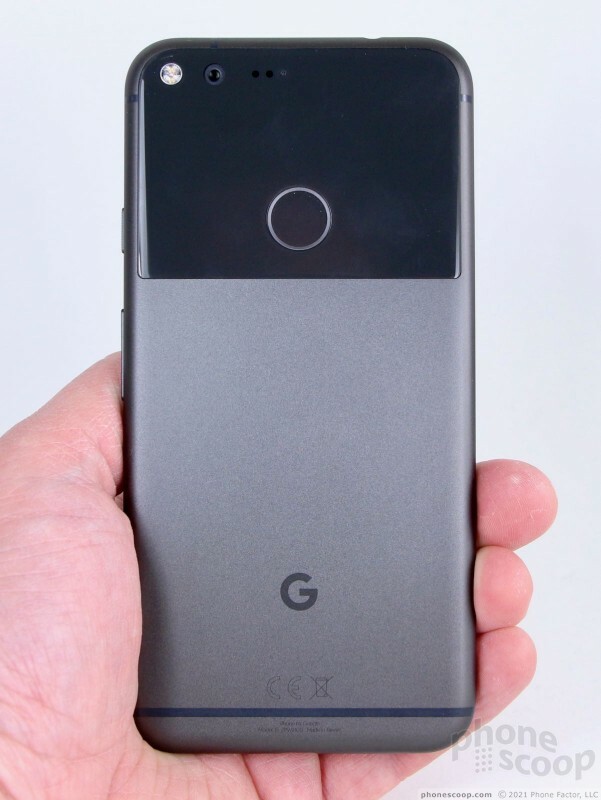 Google's branded smartphones have been a bit hit-or-miss in the style department over the years, and I'm not sold on some aspects of the Pixel XL's design. Google's new Pixel phones are the Nexus series re-imagined. 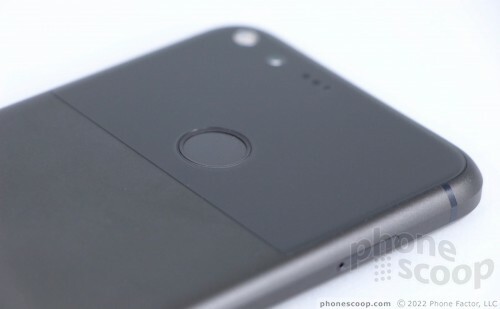 The Pixel and Pixel XL replace the Nexus 5X and Nexus 6P, respectively. 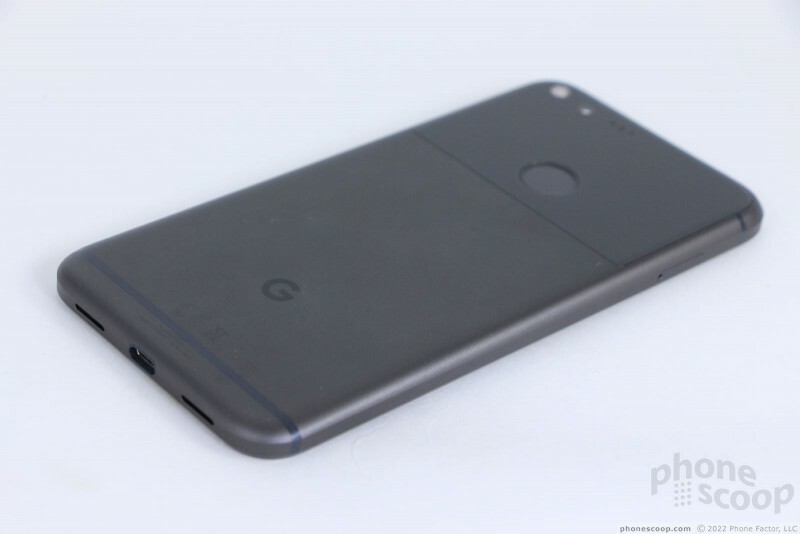 The Pixel XL boasts an aluminum chassis with glass panels on the front and rear surfaces; it is the larger of the two new phones from Google. The XL's shape leans toward the plain. Last year's Nexus 6P had more personality, as far as I am concerned. The XL has rounded corners, a rather thick profile, and simple curves. I like that the metal sides have rounded backs, flat edges, and a chamfered rim all at the same time. Personally, I pretty much hate the glass panel that takes up a big chunk of the rear surface; it just doesn't do anything for me. There's likely an engineering purpose behind the design tied to radio access. Even so, I'd prefer it if the entire rear panel were a single piece of aluminum. With a 5.5-inch screen, the Pixel XL is a big phone. It doesn't have quite the footprint of an iPhone 7 Plus, but it's not much smaller. Most people will need two hands to use the Pixel XL effectively. I was able to use it one-handed more often than not, but there's no doubt it's awkward at times. If you have smaller hands, plan on using both paws most of the time. The Pixel XL's shape does help a little bit. 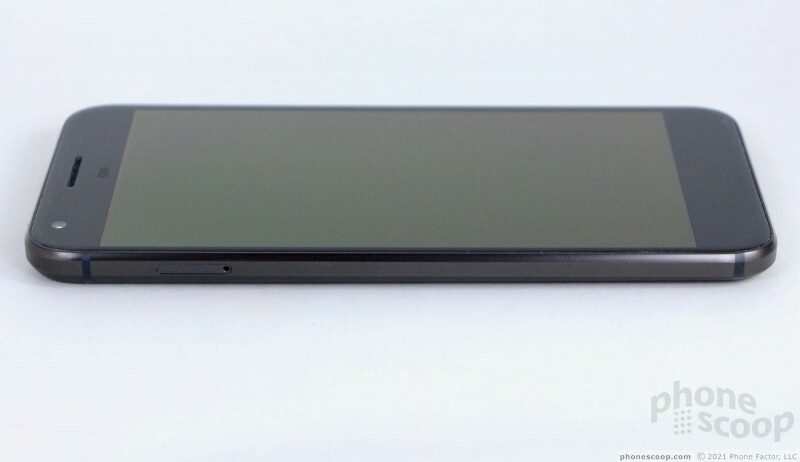 The back edges have a nice rounded shape that makes the phone comfortable to hold. The smooth design means it slips into pockets easily. It doesn't weigh too much, either. Build quality is very good, but not the absolute best I've seen. The glass panel on the rear surface, in particular, bugs me. There's a small gap near the top that stands out to my eyes and drives me nuts. The Gorilla Glass 4 front is pleasing to the thumb, however, and the metal chassis feels strong. The Pixel XL's face is an exercise in Boring Design 101. It has generic curves, thick bezels, and doesn't stand out or impress in any meaningful way. I reviewed the black color. The bezel looks like a dark, dark gray to my eyes more so than black. The display is inky black when off and is clearly darker than the surrounding bezel. The user-facing camera, perched in the top-left corner, is hard to spot. A sensor positioned between the display and earpiece is hardly visible at all. These elements are much more visible on the white and blue versions of the XL. There are no buttons on the phone's face at all. You'll find the screen lock button and volume toggle on the XL's right edge. The screen lock button is closer to the top. It has a nice, textured profile that helps differentiate it from the smooth volume toggle. The travel and feedback of the lock button are just about perfect. The volume toggle has a lower profile than the screen lock button and travel and feedback aren't quite as satisfactory. I wish the two controls were swapped so the screen lock button were positioned closer to the middle of the side edge. 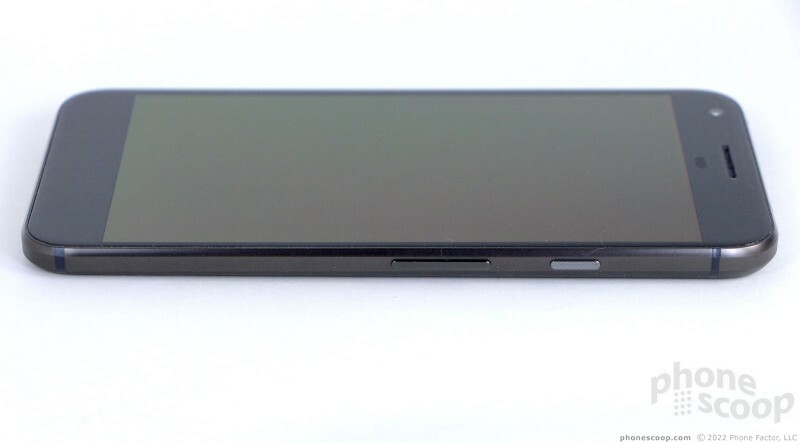 The SIM tray is tucked into the left edge of the phone and a 3.5mm headphone jack is in top. 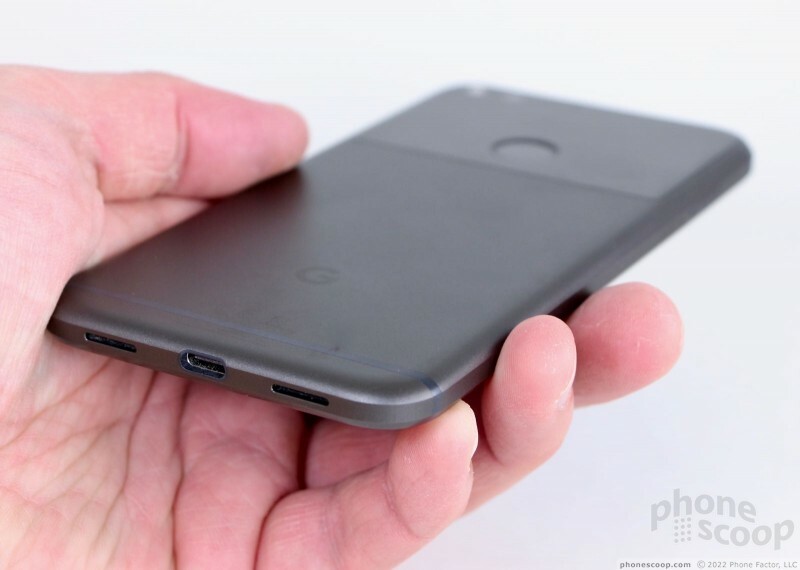 A USB-C port is placed on the bottom edge, flanked by speaker slits on either side. USB-C is slowly gaining more traction in the market, but compatible accessories are still a bit scarce. The rear panel is about two-thirds metal and one-third glass. The glass houses the camera module, flash, sensors, and fingerprint reader. The camera is flush with the surface, while the fingerprint reader is indented a bit. I had no trouble finding and using the fingerprint reader without looking. An antenna line stretches across the very bottom. You'll need to be careful with the rear glass. I scratched the glass on my review unit quite easily. Apparently it's not Gorilla Glass 4, which protects the display. Maybe a case is in order. It should go without saying (though I'll say it anyway), but the rear panel is solid and cannot be removed. That means the battery is sealed inside. The phone does not support memory cards. The Pixel XL is a fine piece of hardware. 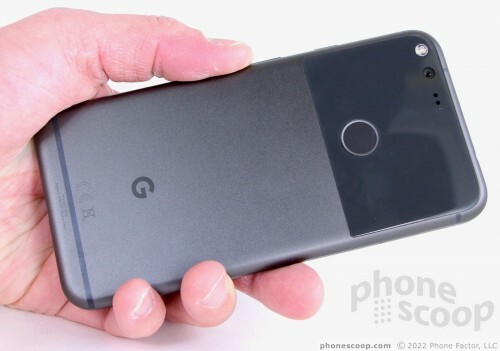 It perhaps doesn't have the personality that some high-end devices do, but Google devices are generally more about the software than the hardware. In other words, you're not buying the Pixel XL for its looks. The XL's display measures 5.5 inches across the diagonal and boasts quad HD (2560 x 1440) resolution. Google selected an AMOLED panel for the Pixel and I found it to be bright, colorful, and sharp. I was able to use the Pixel XL indoors and out with no trouble at all. In fact, the screen was easily visible outdoors even with the brightness set fairly low. That's good news for your battery. Colors are oversaturated a bit, as they tend to be on most AMOLED panels, but the results are pleasing to the eye. Sharpness is excellent. On-screen elements are crisp and individual pixels are truly invisible. Viewing angles are excellent. The Pixel XL's display is quite good. The quad HD resolution makes the Pixel XL ideal for virtual reality. In my tests with Google Cardboard, the Pixel was on par with other quad HD displays in providing a rich VR experience. Verizon is the only carrier that actually sells the Pixel XL, but the Pixel XL is available directly from Google unlocked, with support for a generous number of LTE bands, including those used by all of the major U.S. carriers. I tested the Pixel XL on AT&T and T-Mobile in the metro NYC area and was pleased with the results. The phone maintained a connection to both networks in strong and weak coverage areas alike. I had no trouble connecting calls under the worst network conditions. 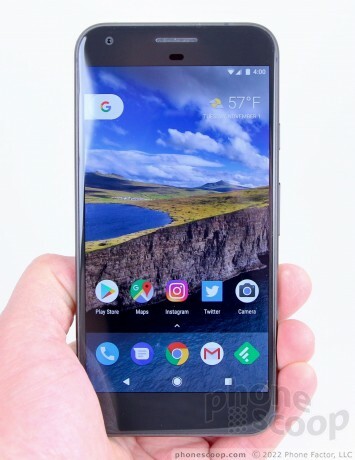 The Pixel XL held onto a call on AT&T's network during a 10-mile highway drive without issue, but the same drive resulted in one dropped call on T-Mobile's network. This is pretty much on par with the behavior I see from other phones across the same route. Data performance was excellent on both networks. WIth support for Cat 9 LTE, the Pixel XL is one of the quicker devices I've tested in recent months. Peak speeds on AT&T and T-Mobile broached 60 Mbps and average speeds were well above 20 Mbps. The XL handles surfing the web and browsing social networks such as Facebook and Instagram with ease. Streaming media from Spotify, YouTube, and apps didn't challenge the phone at all. 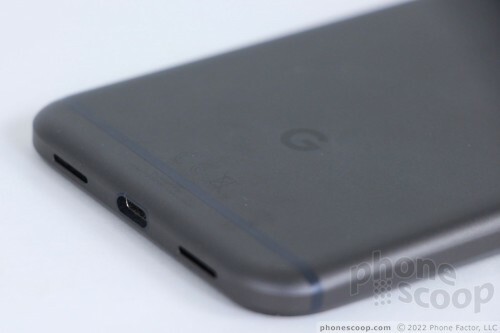 The Pixel XL is an average voice phone at best. The earpiece doesn't produce quite enough punch for my tastes. I had trouble hearing calls in noisy spaces such as coffee shops and city streets, even with the volume all the way up. I suggest you seek out a quiet spot if you have important calls to make. Clarity ranged from mediocre to decent. Calls on T-Mobile's network were generally a bit clearer than those on AT&T's network, but that's not saying much. The earpiece didn't suffer from distortion, but voices often sounded muffled. Conversely, those I spoke to through the Pixel XL said I sounded loud and clear. The speakerphone isn't great, either. Volume is pretty good, but clarity is still off a bit. I was able to hear calls in a moving car, but it was sometimes a struggle. You have to put the volume all the way up, and that introduces some distortion. Ringers and alerts are decent, but could be louder. I wasn't impressed with the vibrate alert, either. I often missed notifications because I couldn't feel the vibrations. That's a bummer. I expected better from the Pixel XL's 3,450 mAh battery. That's a decent-size battery, yet the XL was sometimes gasping for breath at the end of the day. I tested the XL with all of the radios active and screen brightness set to about 50%. I generally had the phone connected to an Android Wear smartwatch, and streamed music to Bluetooth headphones quite a bit. I worked the phone pretty hard. If anything, I noticed that the camera put a lot of strain on the battery, especially when recording video. Don't get me wrong: the phone consistently lasted an entire day — from breakfast to bedtime — with some power to spare. I guess I was hoping for a smidgen more. The phone includes the basic Android battery-saver tool. The battery saver tones down the processor, brightness, notifications, and such. You can set it to come on automatically when the battery reaches 15% or 5%, or toggle it on manually. It helps a little bit. If you find yourself in trouble, the Pixel XL supports Quick Charge 3.0 and it ships with a high-speed charger. Plug the phone in for as little as 15 minutes and you'll gain hours of additional battery life. That's clutch. The Pixel XL is a wireless champ. I was particularly pleased with the XL's Bluetooth performance. The phone connected to a wide range of devices with ease. The phone had no trouble managing Bluetooth headphones and a smartwatch that were connected continuously over the course of a week. Calls made via Bluetooth headsets were better than through the phone's own speakers. Calls routed to my car's hands-free system were decent, but on the quiet side. Music sounded very good through Bluetooth headphones, but I have heard better from a few other phones. The GPS radio was quick and accurate. The XL often pegged me within 5 seconds and was accurate to within about 15 feet. It doesn't get much better than that. The phone was a fine navigation tool, as the fast data performance and GPS accuracy meant it was spot-on when driving from Point A to Point B. With NFC aboard, you can use the XL to make mobile payments via Android Pay. I set up the tap-and-go payment service and found it worked well where supported. The NFC radio also helps pairing with some Bluetooth accessories. This function worked well, too. The XL's WiFi radio is very, very good. I saw incredible data speeds on strong WiFi networks. For example, the XL downloaded a 500 MB app via WiFi in about 20 seconds. The phone downloaded several gigabytes of Spotify music in less than 10 minutes. Google today made it less costly for users of its Project Fi wireless service to add multiple lines to their accounts. The first line still carries a $20 access charge, with data costing a flat $10 per GB.